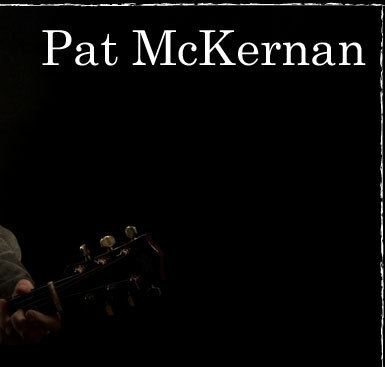 Pat McKernan is a native of Belturbet, County Cavan in Ireland. He is believed to be the first McKernan born in captivity. As a youth he earned a reputation as possibly the worst Gaelic Footballer in the history of the game and abondoned his foolish dreams of sporting greatness to immerse himself in the world of Irish ballads. Weekend gigs in local pubs in Cavan and surrounding counties were followed by several years playing in ballad groups around Dublin. In 1986 Pat joined a band called Napper Tandy which played for months on end around the Irish circuit in England. He paid his dues with thousands of motorway miles sleeping in the back of a hiace van as the band drove from town to town. He came to Australia for 6 months in 1989 then forgot to go home. He has spent much of the past twenty years singing Irish songs at various venues...pausing only for mealbreaks, ablutions and the odd few hours sleep. Pat has established himself in the forefront of the Melbourne entertainment scene. He has played at hotels, bars, tents, racetracks, weddings, wakes, funerals, football clubs, prisons, golf clubs, trains, boats, schools, restaurants, shopping centres, woolsheds, wineries and anywhere else where music and song were needed. Pat has toured extensively as guitarist for Irish folk legend Finbar Furey and has had his song "Geraldine's thinking of Galway" recorded by the Furey brothers. 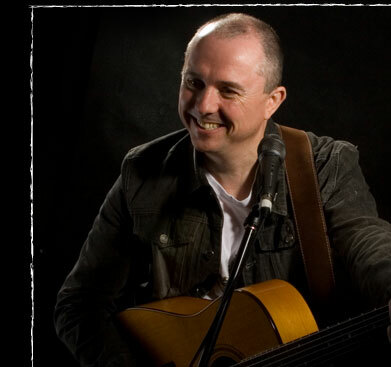 Pat is available to play at your venue or function and his extensive repertoire covers everything from Irish Ballads to popular (and unpopular) favourites. He can operate as a solo act or can bring along a band if that's what you want. Pat presents a regular Irish radio programme on Melbourne multicultural station 3ZZZ.